I think we’ve all been told or heard that in order to grow we need to have goals. In fact, I bet we’ve all set at least one goal in our lives. One thing that I feel is missing, however, is that we’re never really taught exactly how to create a goal that we can actually stick with. Today I want to give you a simple 5 step method you can use right now to create goals that actually work. Goals, dreams, desires, they all make the world go round. In fact, everything you see around you is the product of someone’s goals, dreams, and desires. But, as you look around and see people achieving goals, do you ever wonder “how did they actually achieve it?”. I know at times I would look around and think “Wow! I wish that I could do that!”. What I didn’t realize at the time was….I can, and so can you! Maybe you can relate to me: I had the goal in mind, I wanted it so bad! But I fell short of achievement in most cases. December 2015; It hit me…. I needed a better way to tie these goals to my core, to where my true desires were. I needed more oomph in my method! That’s where GWIF was born. I used GWIF all throughout 2015 and it served me well! However, in December 2016, a time of previous year reflections, the concept grew to GWIFD. What do these letters stand for exactly and why would I share this method to you all? GWIFD is a 5 step method I created to bring more meaning to my goals. It wasn’t enough to say “I want to lose 20 pounds” or “I want 10 more customers in my business”. Why did I want to achieve these goals? Think about your own goals too. Why do you want to achieve them? By using this 5 step method, I attached much more meaning behind my goals and it really started working! Goal: With a clear mind and a high vibration decide, what goal do I want to achieve? Why: Dig deep and determine, why do I really want to achieve this goal? Improve: What will improve when I achieve my goal? Feeling: What feeling will I have when I achieve my goal? Do: What will I do to achieve my goal? 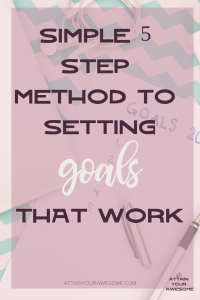 Now that I’ve shared with you the 5 step method, let’s go into how you can use it when creating your own goals. It’s really important to clear all distractions and have a clear mind when you’re setting goals. Setting goals while you’re in a high vibration (happy, excited etc.) will really amplify your feelings around the goal as well. Here’s where the work begins. Now, dig deep and determine the REAL reason (why) you want to achieve this goal. For me, I was embarrassed at work walking up and down the stairs with customers and colleagues because I was huffing and puffing. Not cute. Also, my stomach felt horrible, I was sluggish and so on. Those were my why’s. Now you need to think on what would improve by achieving your goal. If it’s weight loss and you’re a parent, perhaps running around at the park with your kids would improve? Mine was lowering my cholesterol and sugar numbers as I knew to lose weight I needed to eat better. Truly think on this for your goal. Here’s the REAL kicker. I want you to think on and FEEL the feelings you will have once your goal is achieved! Think of how your future self will feel once that goal is achieved. Excited? Empowered? Relieved? Really dig into it! This is your goal, your feelings, and your life! What are you going to do in order to achieve your goal? This one is super important too! You can’t just make a goal and then do nothing about it. Well….you can, but you won’t see results. For my weight example, I would dance in my home, I would improve my eating habits and so on. What will you do to achieve your goal? 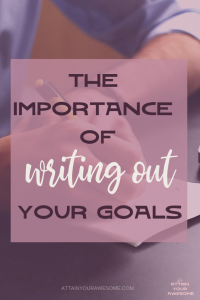 I can’t stress enough how important it is to write out your goals. Studies have shown that you are more likely to succeed when you have your goals written out. Take it a step further and place post-it notes by your bed, in your bathroom, on the fridge, and in the car too. Make leaps and bounds by writing your goal out every day. Yep, get a notebook and write your goal every day. Step into your future self by reading your goal every day and visualize yourself achieving it! Don’t let this information just sit here or tell yourself, oh I’ll come back to that when I’m done with “xyz“. 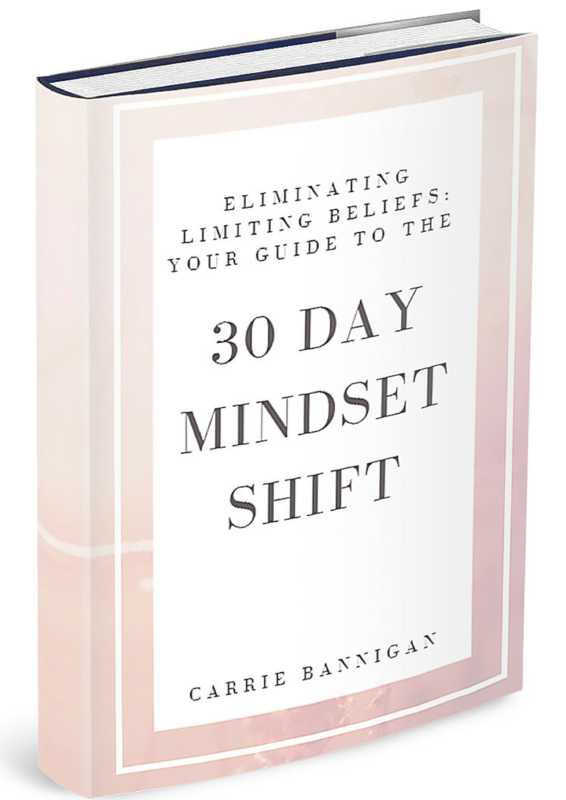 Give yourself the gift of achieving your goals by putting this 5 step method into place now. Get a pen and paper, go to a calm non-distracting place and go through each of the steps above while you’re setting your goals. After they’re written out, place them around your home and car and starting doing the DO’s you need in order to achieve them. 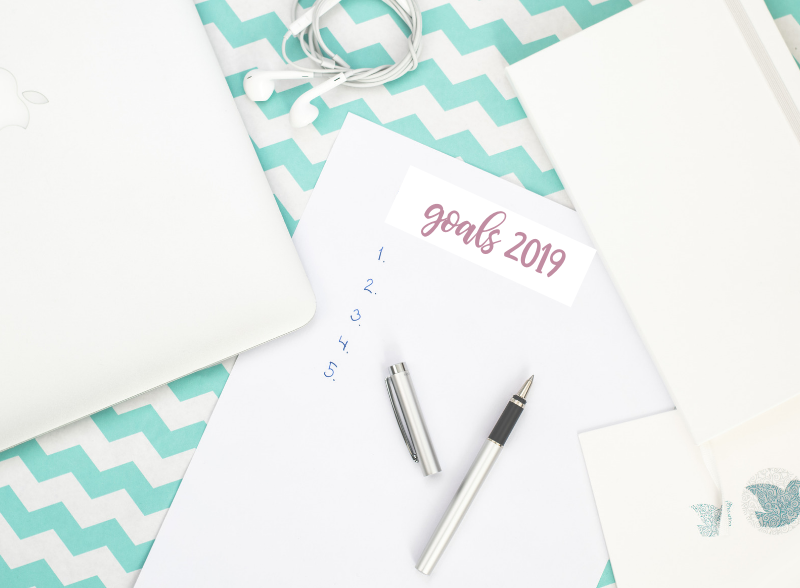 We’d love to see what goals you have! If you just cringed a little, just know, that’s exactly why I built this community. To support and lift others up! We’re here to celebrate your goals and successes WITH you! So drop a comment below, let me know your goals and your thoughts on this 5 step method! Thanks so much for reading and until next week…..
Open up your Hearts, Eyes, and Minds and Let’s Attain Your Awesome today! Check Your Email, Your Free eBook Is On Its Way!